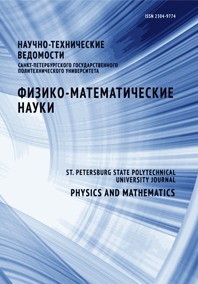 Budrin Sergey S. Dolgikh Stanislav G. Chupin Vladimir A. Shvets Vyacheslav A. Yakovenko Sergey V.
A new hydrophysical measuring complex has been developed on the basis of the laser measuring instrument of hydrosphere pressure variations. The latter was previously engineered and experimentally approbated. The use of this equipment allows solving problems on investigation of the amplitude-phase variations of hydrosphere vibrations and waves in the low-frequency range. All performance data of the complex was considerably improved by virtue of the operating experience obtained previously. Radically new opportunities of the created equipment were provided since the apparatus was rigged with new sensors for accompanying measurements and a container, which allowed working independently. The new hydrophysical measuring complex is easier to operate and maintain, ensures higher quality data obtained and new spheres of its application.